For three weeks now, Glass has maintained the first place at the weekend box office. This was helped by what Box Office Mojo expects to be the worst Super Bowl weekend in cinemas since 2000. 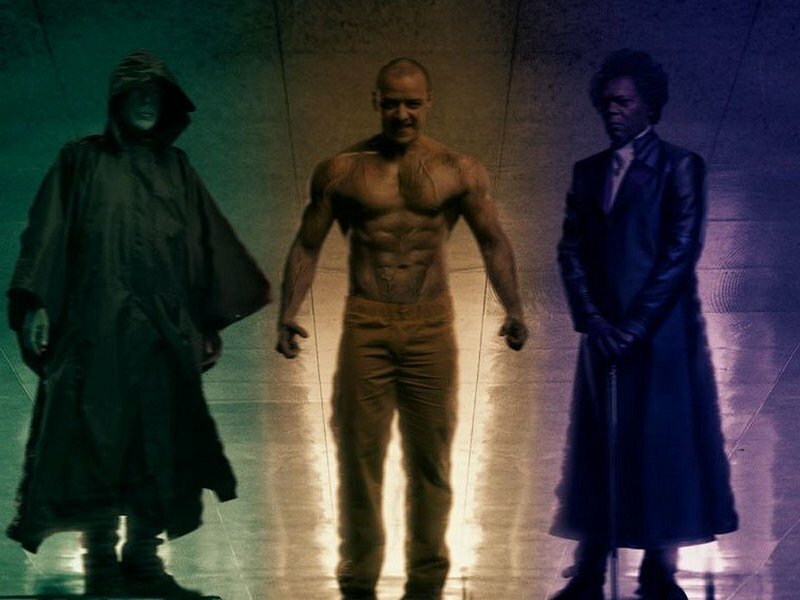 M. Night Shyamalan’s superhero thriller earned about $9,5 million, bringing its gross up to $88,6 million. 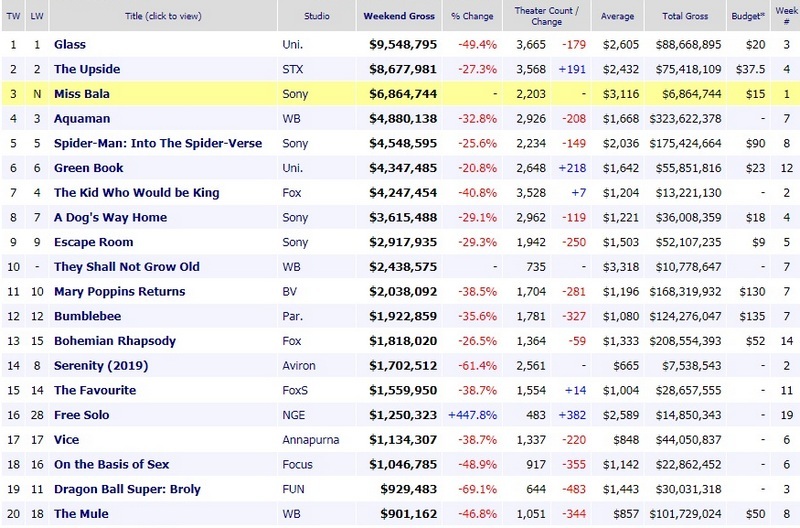 Likewise, for the third weekend in a row, Upside remained in the second place at the box office. The feelgood comedy-drama grossed $8,6 million, bringing its domestic earnings up to $75,4 million. In the third place with $6,8 million is the sole newcomer – Miss Bala. Directed by Catherine Hardwicke (Twilight), this action thriller featuring Anthony Mackie (Avengers: Infinity War) and Gina Rodriguez (Annihilation) was based on the 2011 Mexican crime drama of the same title by Gerardo Naranjo. The Lord of the Seven Seas is swimming in the fourth place: now in its seventh week in cinemas, Aquaman earned $4,8 million. Finally, in the fifth place of the weekend box office is once again our friendly neighborhood Spider-Man: Into the Spider-Verse with $4,5 million. The Wrap reports that British actor Harry Lloyd will appear in the superhero TV series Legion playing Charles Xavier – telepath and founder of the X-Men. According to the comic book lore, Professor X is the father of Legion a.k.a. David Heller (played in the show by Dan Stevens – Downton Abbey). 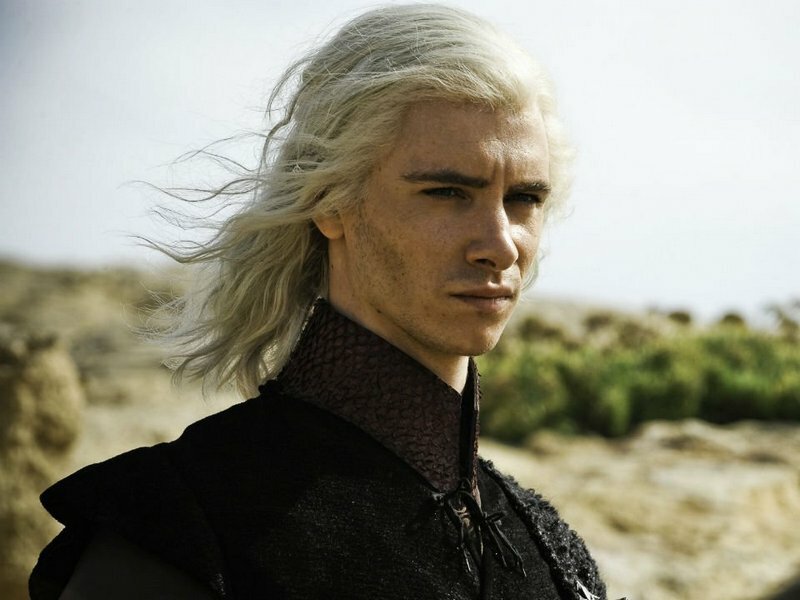 Best known for his portrayal of the ill-fated Viserys Targaryen in HBO’s Game of Thrones, Harry Lloyd also appeared in sci-fi shows like Doctor Who and Counterpart. David’s mother Gabrielle will be played by Stephanie Corneliussen (Mr. Robot, Legends of Tomorrow). 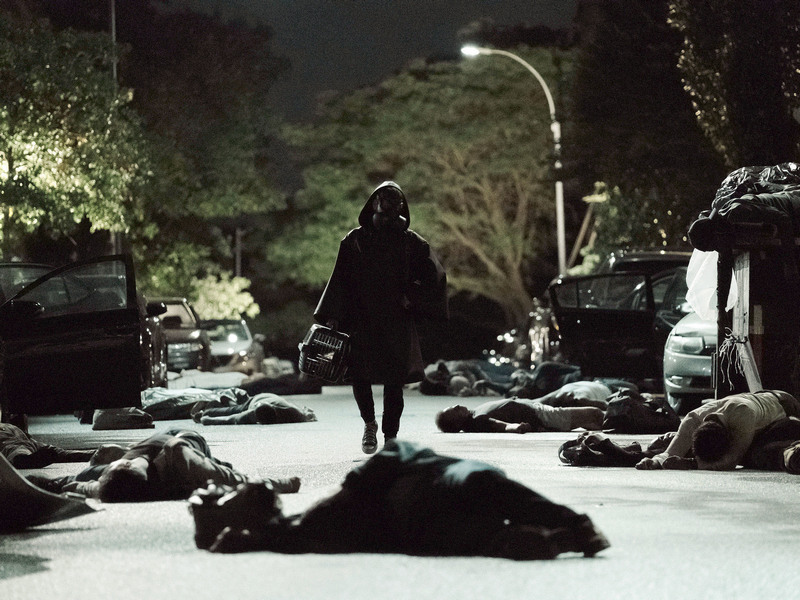 Created in 2017 by Noah Hawley (TV series Fargo), Legion quickly drew attention for its unusually stylized and psychedelic depiction of its titular hero’s fractured psyche. However, just this week The Hollywood Reporter announced that Legion’s third season will be its last. According to the article, Hawley envisioned the series as a three-season arc. Sticking with that plan was likely helped by the show’s declining viewer ratings. The last season of Legion arrives this May. For the last four years, FX has been working on a TV adaptation of the critically acclaimed comic book series Y:The Last Man. Now, at least according to AVClub, the network has officially ordered the series. Simply re-titled Y, it will feature Barry Keoghan (Dunkirk) in a leading role along Juliana Canfield (Succession), Marin Ireland (Hell or High Water), Diane Lane (Man of Steel), Lashana Lynch (Brotherhood), Imogen Poots (28 Weeks Later) and Amber Tamblyn (Ring). While the exact release date still isn’t known, the series will supposedly premiere in 2020. Y:The Last Man is a post-apocalyptic tale about Yorick Brown, the sole remaining man in a world in which all other males have mysteriously died. Yorick covertly travels across the remains of the USA observing the changes in a society populated solely by women. Accompanying Yorick are his bodyguard Agent 355 and the geneticist Dr. Allison Mann who both want to discover a way to prevent the slow extinction of humanity. Winner of three Eisner Awards, Y:The Last Man was scripted by Brian K. Vaughan and illustrated by Pia Guerra. It was published by Vertigo from September 2002 until March 2008.